Walk through all the rooms of your home and decide what items needs to me moved, thrown away or packed. If you have not used some items in over a year, it is probably time to get rid of them. When you start piling things to throw out, sort out the items that can be donated to charity or sold in a garage sale. Know what kind of expenses to expect. Research prices for moving companies, storage and trucking companies. Learn more about extra expenses related to special packaging for delicate items or insurance that you may need. Ask us if your current homeowners or renters insurance covers moving. Keep a folder of your moving expenses and other paperwork all together so that they can be easily accessed. Start collecting boxes and other packing materials that you will need to protect your belongings during the move. Label all of your boxes and keep them organized so that it is easier to unpack when you are settled in your new home. Measure everything in your new home, even doorways and hallways to make sure the furniture you are moving over will fit properly. You can even create a floor plan to see where you want all of your furniture to be placed in your new home. This will help you avoid moving heavy objects from room to room until you find a place for them to fit. Make sure you let all of your banks, credit card companies, doctors and insurance providers know that you are moving. 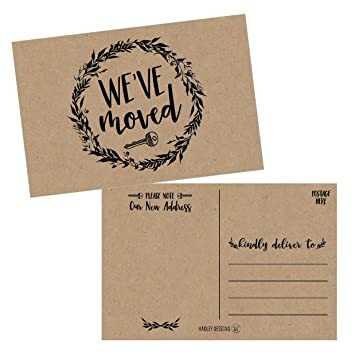 Contact us today with your new mailing address if you have moved. We wish you the best of luck on your new move. Contact Carriage Trade Insurance if you have any questions on your coverage while moving.